The Breda 501 is a late-war Italian wheeled tank destroyer prototype, built upon the experiences gained during the North African campaign. 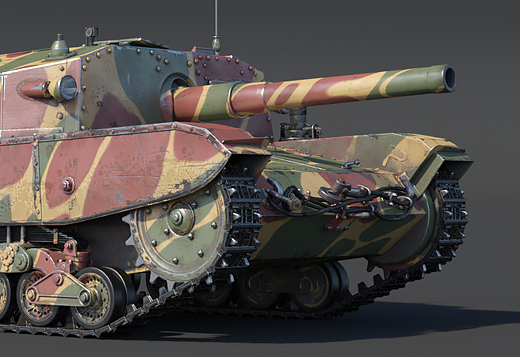 Tankers in War Thunder will soon have the chance to use the Breda 501 to deadly effect with the release of the upcoming update 1.85! Briefly: A nimble truck chassis modified into a lightly armored, but effective tank hunter equipped with a powerful 90mm AT gun. 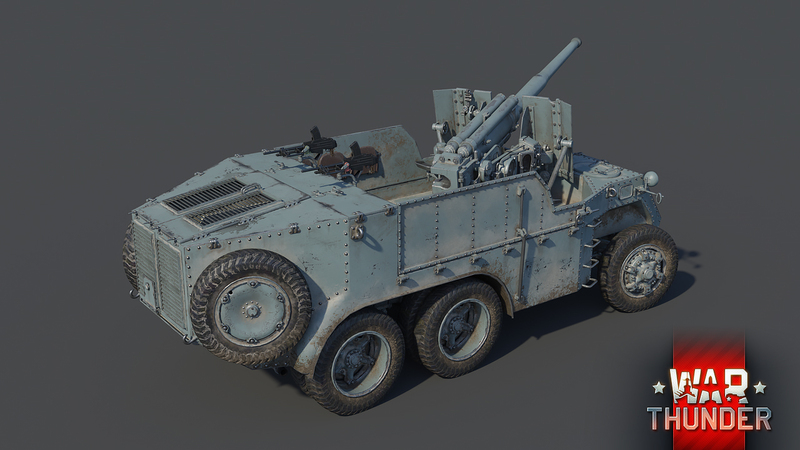 During the North African campaign, the Italian military quickly realized the effectiveness of their 90mm heavy AA cannon, commonly mounted on utility trucks. The cannon turned out to be just as good at dealing with enemy tanks as it was combating aircraft, being able to pierce the armor of virtually any allied tank it faced in the deserts of North Africa. However, whilst the mounting on truck chassis allowed the guns to be moved around with relative ease, the large silhouette and lack of armor protection heavily exposed these vehicles and their crews to even rifle-caliber fire, yet alone to shrapnel from nearby explosions. 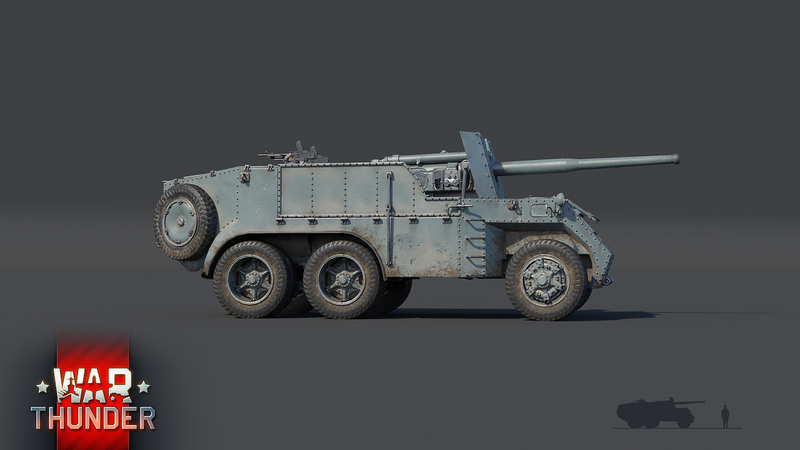 In 1942, the military top brass came up with a set of requirements for a new vehicle which would build up on the proven gun truck concept used in North Africa by increasing protection and mobility. The new vehicle would be designed as a dedicated SPG, intended solely to provide support to armored regiments in combating enemy tanks. Shortly after, the Breda company began work on a vehicle around those specifications. Breda based their new design on a chassis of an existing utility truck and added armor plating to the vehicle’s front and sides. The 90mm cannon would be installed in an open fighting compartment in the vehicle’s rear. In 1943, the prototype was finished and began undergoing testing as the Breda 501. Although the Breda 501 had successfully proven itself during testing, further development and potential mass production was hindered by Italy’s capitulation in late 1943. The project was ultimately cancelled with the signing of the armistice in late 1943 with only a couple prototypes of the Breda 501 being built of which none saw any combat use. 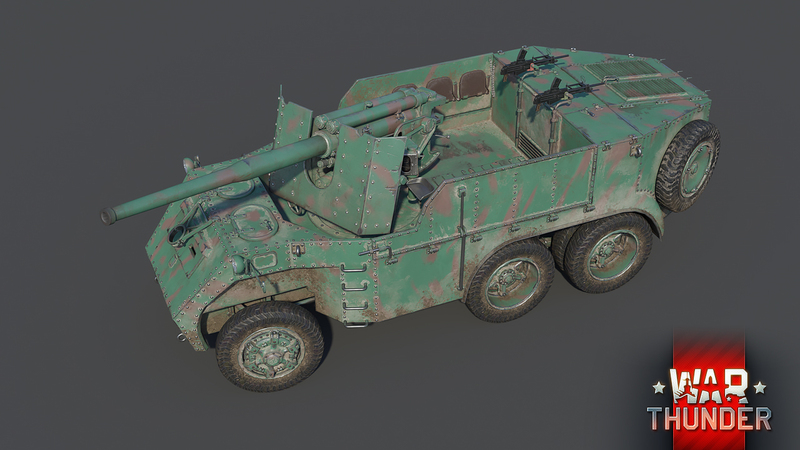 In War Thunder, the Breda 501 will be a wheeled tank destroyer at rank III of the upcoming Italian ground forces tree coming with update 1.85. 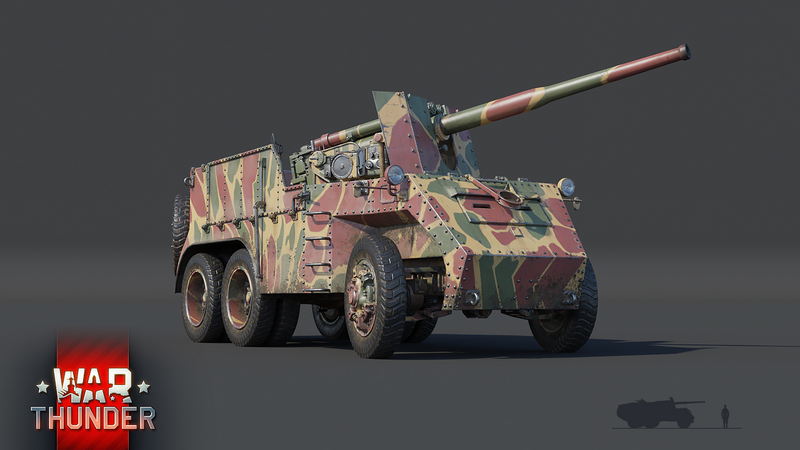 For fans of fast-moving and highly agile vehicles, the Breda 501 will be another must-have as this particular Italian isn’t just fast, but also very deadly. 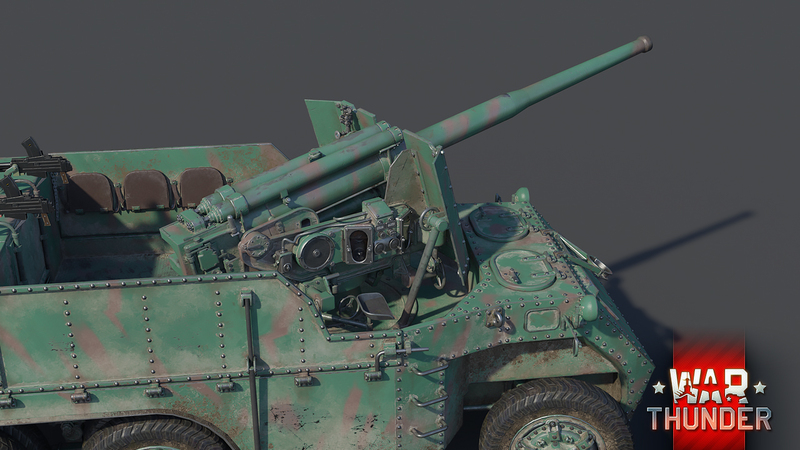 Dominating the relatively agile vehicle is undoubtedly the 90mm anti-tank gun, protruding from the open fighting compartment. Although often overshadowed by the infamous “88”, the Italian 90mm gun is very similar to its German counterpart in many aspects. The gun itself offers good ballistic properties and should present itself as fairly simple to use at medium to long distances, even to less experienced tankers. Additionally, commanders of this machine will have a selection of two types of armor piercing rounds to choose from, whose destructive and penetrating power vary. Complementing the vehicle’s superb firepower is equally good mobility. Breda 501 can reach a respectable top speed of 53 kph on roads. Unlike most wheeled vehicles, the Breda 501 isn’t afraid of rough terrain either. However, great firepower and mobility come at the expense of protection and survivability. This is most certainly the case for the Breda 501, which with its 30mm of frontal armor, will struggle to deal with anything larger than a heavy machine gun, whilst the side armor can effectively only stop rifle-caliber bullets. On top of that, the open fighting compartment exposes most of the Breda’s five crew members to air attacks and artillery shelling. Therefore, remaining unseen and positioned in good cover will be of essence when commanding the Breda 501 in battle. 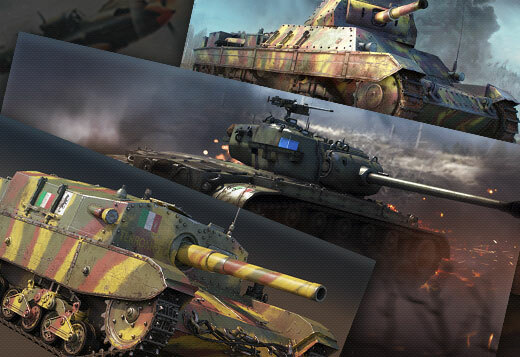 The Breda 501 will join War Thunder ground battles as part of the highly-anticipated Italian ground forces tree coming to the game with update 1.85. 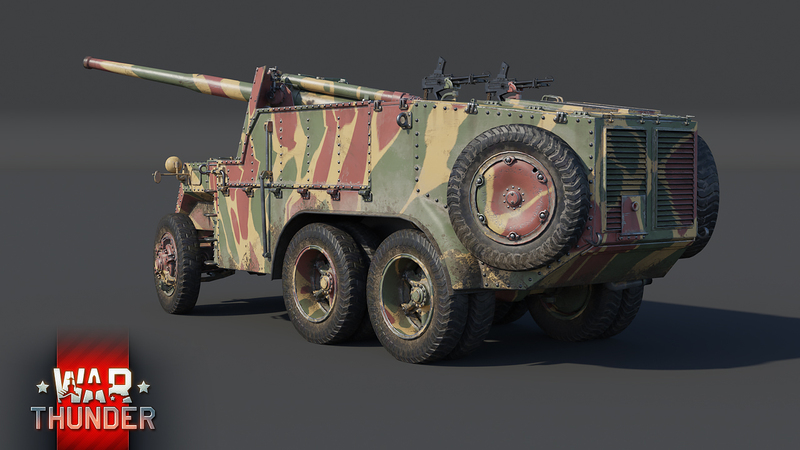 Make sure to give Italy’s very own Pakwagen a go as you progress through the ranks of the Italian ground forces tree coming to the game very soon. Until then, tankers! What song is this in the video? Ya I have a feeling the Italian tree will be a finesse tree. I can't wait to drive this cool truck of death! Awesome! Seriously, both the model and the vehicle itself, they're all awesome!! Where is Luigi? Who is driving this vehicle? *binek1986, Mario is the pilot, Luigi is suppose dto be the tanker.